K.W. Emerson, Inc. is a General Engineering Contractor licensed in California and Nevada. We are a HUBZone Firm and Woman Owned Small Business certified by the U.S. Small Business Administration. K.W. Emerson, Inc. is also a Disadvantaged Business Enterprise (DBE) certified by California Department of General Services and Woman Owned Business certified by the California Public Utilities Commission. K.W. Emerson, Inc., strives for professionalism and quality on all our projects. Each project is manned by the “Emerson Team,” which excels in leadership and supervision of employees who are trained in the work to be performed. We pride ourselves in completing projects in a timely and satisfactory manner. We take initiative in coordinating our efforts with Owners, Project Managers and other Contractors. It is our belief that communication is the key to success on every project and we believe being open and responsive best promotes this. K.W. Emerson, Inc. has a broad range of capabilities which enables us to serve effectively both the public and the private sector. Our belief in integrity and hard work provide for successful projects and the confidence of our clients in our abilities. History of K.W. Emerson, Inc.
K.W. 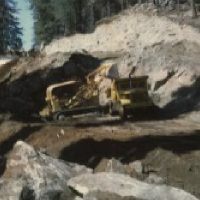 Emerson, Inc. has grown in the Northern California and Mother Lode area over the last 49 years. With our long standing employees and being family owned business K.W. 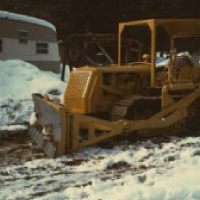 Emerson, Inc. has become a business specializing in excavation, site work, underground utilities, pipe bursting, mine reclamation and many other specialized areas of construction. We have experience in all aspects of the construction industry including site demolition, road construction, bridge construction and environmental remediation. In addition, K.W. Emerson, Inc. has worked for and along side various State and Federal Agencies like the US Forest Service, National Park Service, US Army Corps of Engineers, State of California Department of Parks & Recreation and Caltrans. We have also worked with many local utility districts including Pacific Gas & Electric Company, East Bay Municipal Utilities District, Sacramento Municipal Utilities District, Calaveras County Water District, City of Angels Camp, Calaveras Public Utility District and San Andreas Sanitary District. We take pride in completing all of our assignments safely and in compliance with all local, state and federal regulations. Our clients enjoy the benefits of our experience through cost savings, value engineering and increased project efficiency. Through our broad range of capabilities we provide complete solutions to the most complex situations, benefiting both our public and private sector clients. 413 West Saint Charles St.
© 2018, KW Emerson Inc.. All Rights Reserved.